If there is a change in the presenting author, please inform the CoBrCa secretariat. 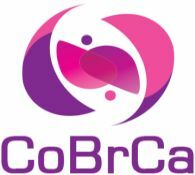 If an abstract is accepted for presentation at the CoBrCa Congress, the submitter agrees to allow CoBrCa to publish the abstract in the congress program and abstract book, and on the congress website. Any change in the presenting author needs to be communicated in the form of a written statement to the CoBrCa secretariat. If the original presenting author is unable to present the abstract, it is that person's responsibility to ensure that one of the co-authors takes over the role, and to advise the CoBrCa secretariat.